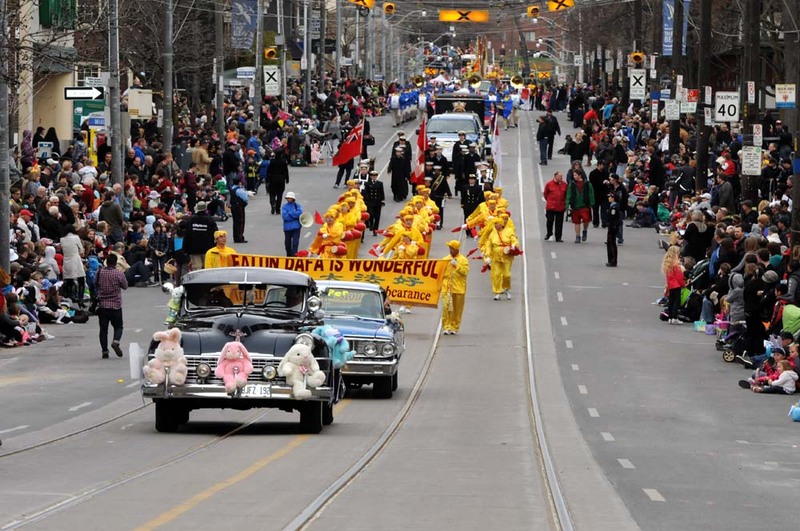 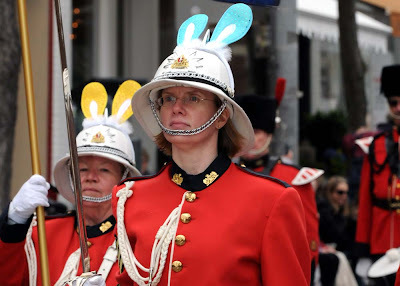 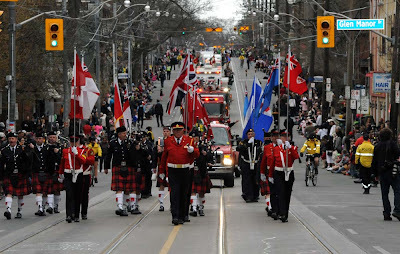 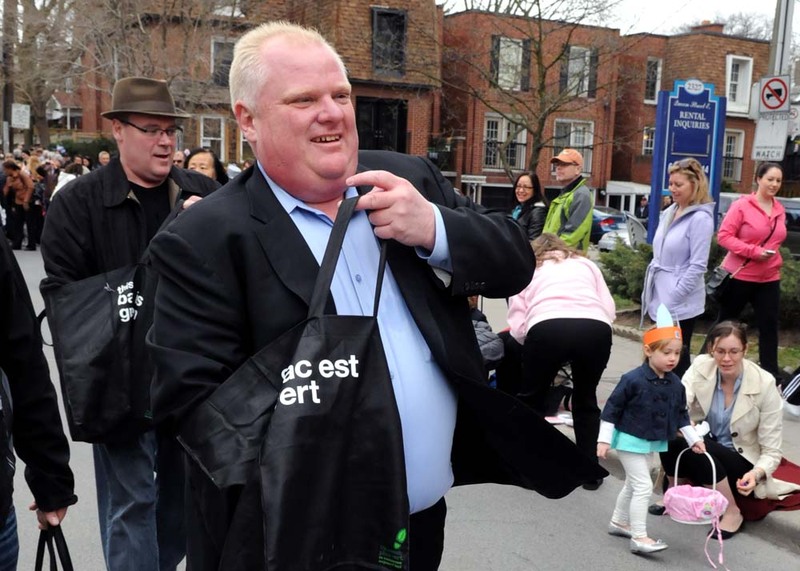 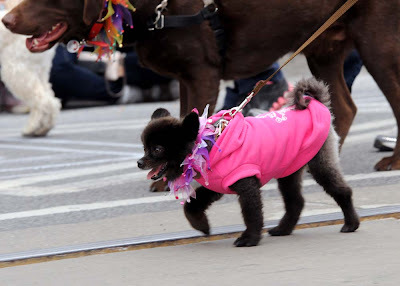 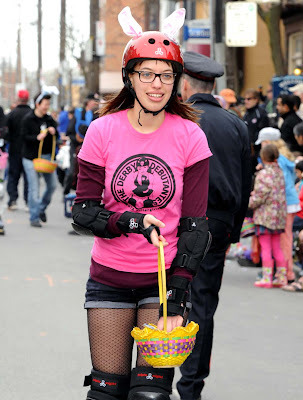 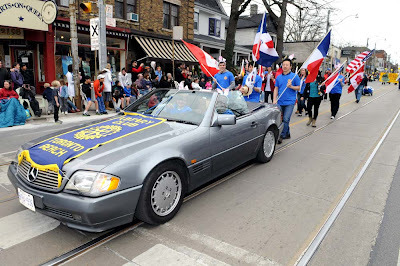 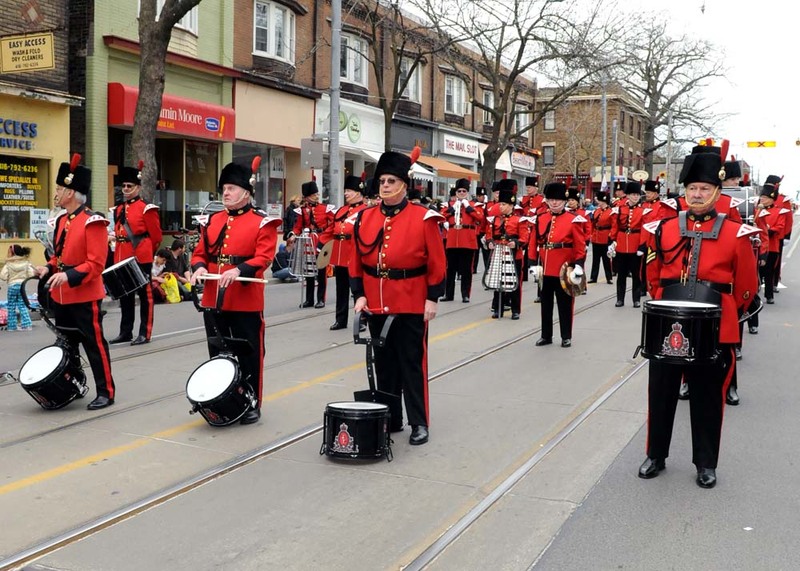 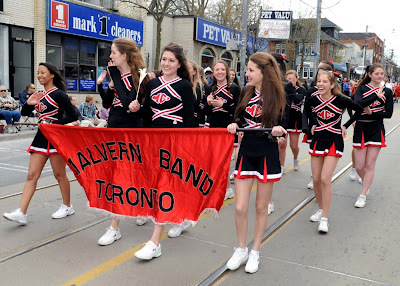 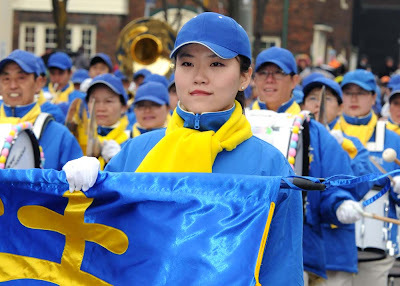 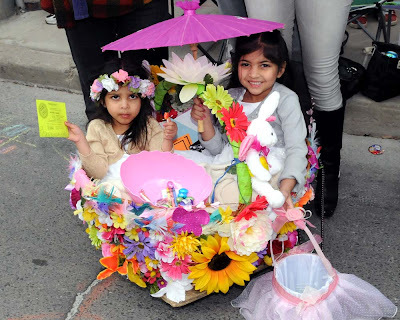 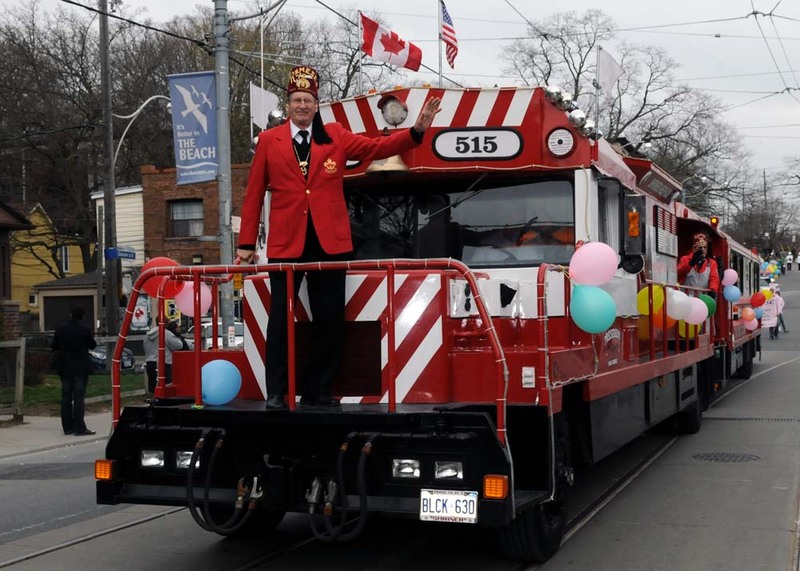 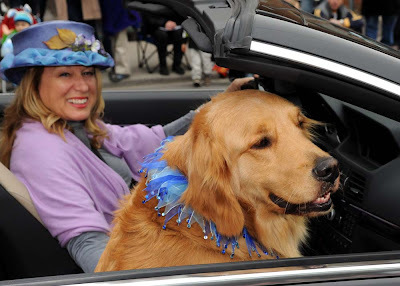 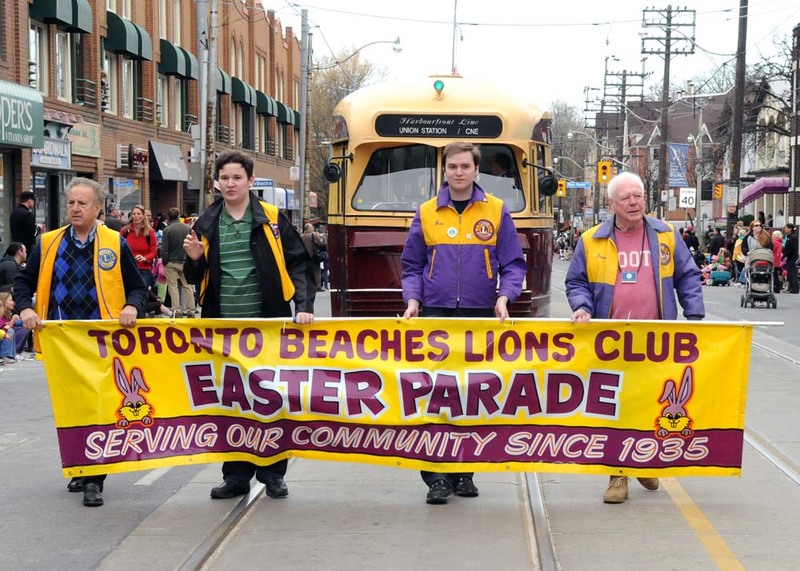 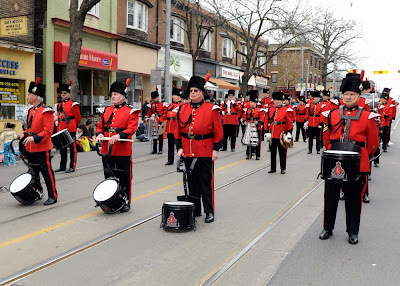 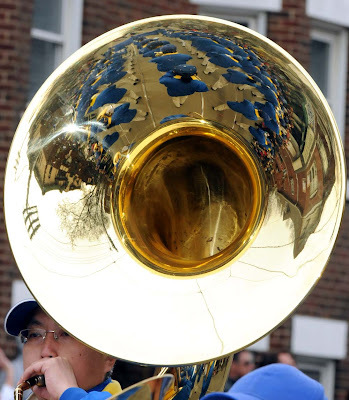 The annual spring parade starts at 2pm in the Beaches on Sunday, April 8, 2012. 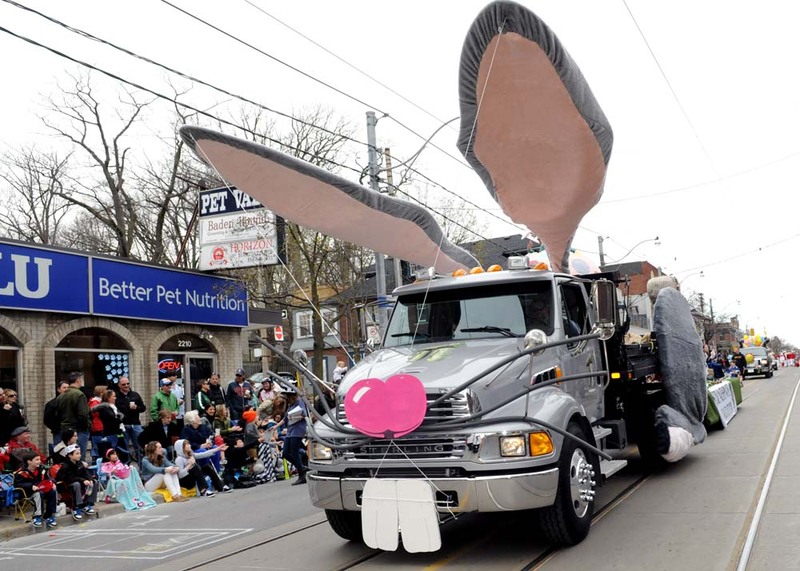 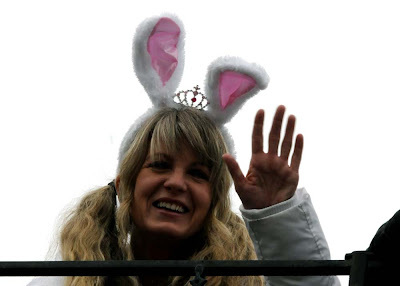 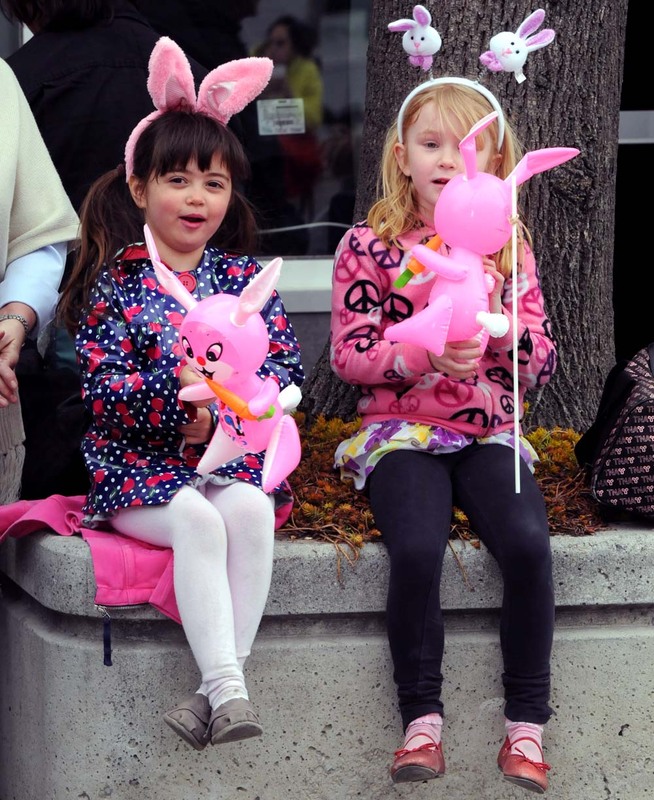 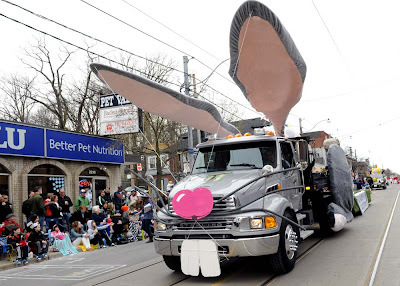 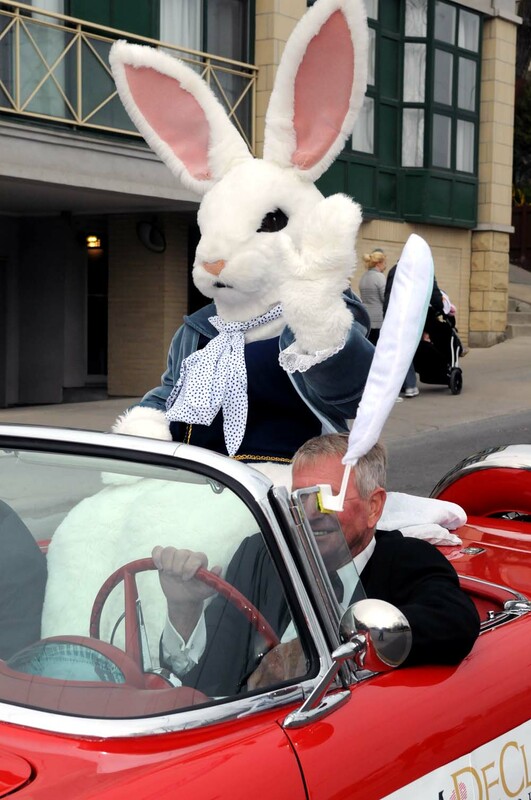 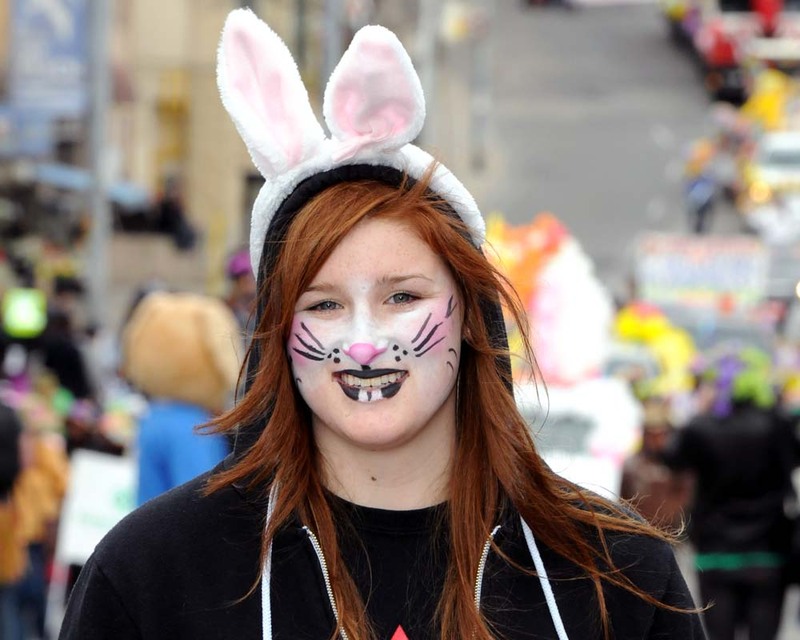 For two hours the floats, bands and marchers wind through Toronto's lakefront neighbourhood as thousands watch, many dressed up with bunny ears and hoping to score some candy. 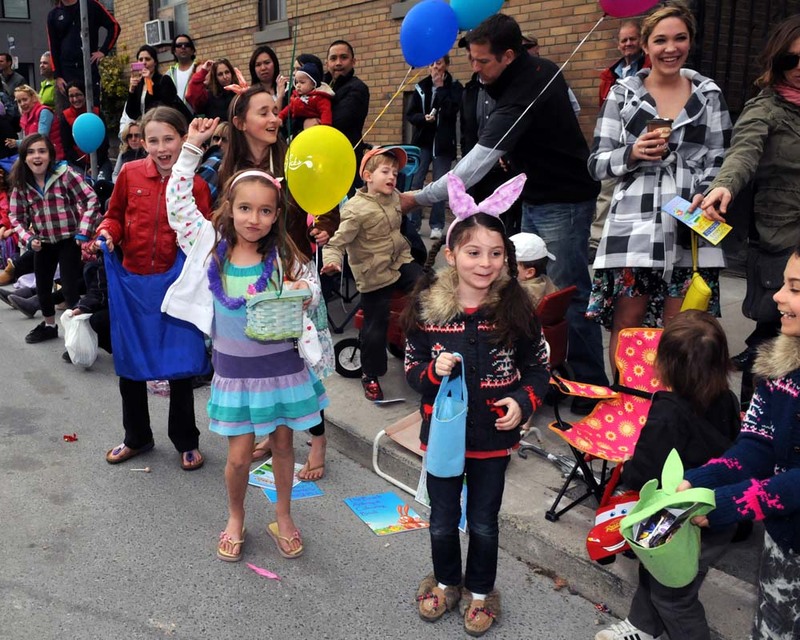 Participants gather on Queen Street at Munro Park before heading west along Queen Street to end at Woodbine Ave. Bands, floats, dancing groups and the Lindt Chocolate bunny car make a good parade. 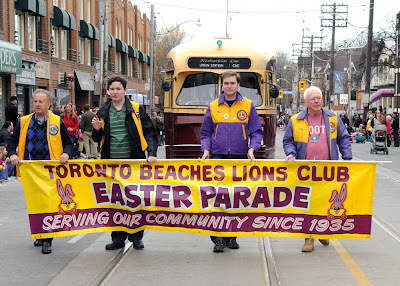 See photos of last years parade at this post.